The 124th session of the Human Rights Committee took place in Geneva from 8 October to 2 November 2018. The Committee reviewed the reports of five States on the implementation of the ICCPR: Belarus, Sudan, Belize, Guinea, Bulgaria. Saint Vincent and the Grenadines was scheduled to be reviewed in absence of State report, however the review was exceptionally postponed to March 2019. It is noteworthy that Belize and Guinea engaged with the Committee after more than 2 decades. The Committee also adopted 5 lists of issues on States parties: Nigeria, Trinidad and Tobago, Equatorial Guinea, Tajikistan and Mauritania. The List of Issues will be available in the coming weeks. 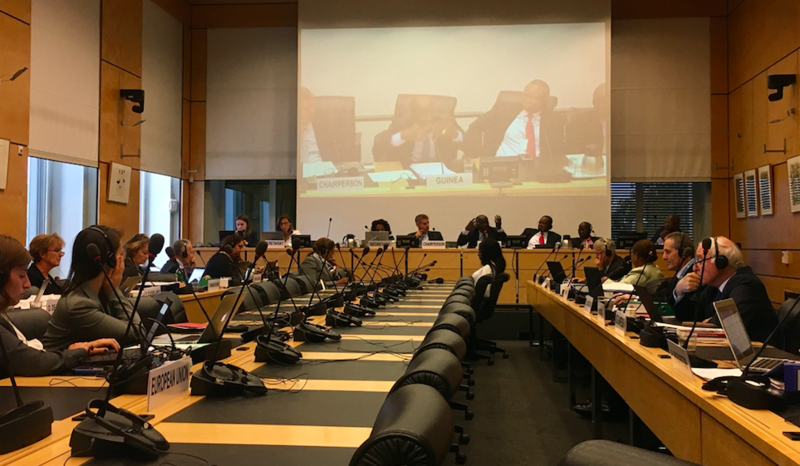 The Committee adopted the report on Follow-up to Concluding Observations which assesses the recent information received on the implementation of the Committee’s recommendations in relation to five States: Montenegro, Greece, Republic of Korea, Benin and Rwanda. The report highlights important progress made in those five countries. The Status of follow-up to Concluding Observations is available here. The Committtee also endorsed the paper “Possible elements of a common aligned procedure for follow-up to concluding observations, decisions and views for all treaty bodies”, which the Chairs of the UNTBs had adopted during their annual meeting from 29 May to 1 June in New York. The paper is available as Annex II of the report Report of the Chairs of the human rights treaty bodies. During this session, the Committee considered 24 draft decisions under the individual communication procedure, of which one was postponed to a future session pending additional information from the parties. Out of the 23 decisions adopted, 15 were decided on the merits, 4 cases were declared inadmissible and 4 were discontinued. Regarding the cases decided on the merits, the Committee found violations in 14 of them and no violation in one. After almost four years of extensive work, the Committee adopted its General Comment on the right to life. "A major contribution to international law" said Yuval Shany, Chair of the Committee and Rapporteur of the General Comment. The Committee payed special tribute to the late Nigel Rodley for his contribution to the work on the draft General Comment. The next General Comment will focus on article 21 of the ICCPR on the right to peaceful assembly. Christof Heyns has been designated as Rapporteur. With respect to methods of work, the Committee discussed and adopted the Criteria for Review of a State Party with Seriously Deteriorating Human Rights Conditions as well as the Guidance on identifying cases for oral comments. This in addition to the existing focal points for the Committee against Torture (CAT) and the Committee on Economic, Social and Cultural Rights (CESCR). The bureau met with the bureau of CESCR. In this regard the Committee decided to undertake a joint substantive statement with the CESCR on article 22 of ICCPR and art. 8 of ICESCR on freedom of association. The Committee endorsed the Joint statement on 20th anniversary of the UN Declaration on Human Rights Defenders. Finally, the Committee thanked and wished farewell to Sarah Cleveland, Margo Waterval, Olivier de Frouville and Mauro Politi, whose term as Committee members end by the end of this year.